Patricia L. Wick, age 88, of Grove City, MN died on Tuesday November 20, 2018 at the Meeker Memorial Hospital in Litchfield. A funeral service will be held at 2:00 PM on Saturday, November 24, 2018 at First Lutheran Church in Litchfield. Visitation will be one hour prior to the service. Burial will be in the Ripley Cemetery in Litchfield. Patricia Lenore Wick, the daughter of William Eugene and Margaret Elizabeth (Buchanan) Brehmer, was born on October 2, 1930 in Litchfield. She was baptized on April 5, 1931 at Trinity Church in Litchfield and graduated from St. James High School in 1948. Patricia was united in marriage to Leonard Jerome Wick on September 4, 1950 at the St. James Catholic Church. Throughout her life she lived in Litchfield, St. James, Minnetonka, Ortonville and Grove City. Patricia was a dental hygienist and a stay at home mom. 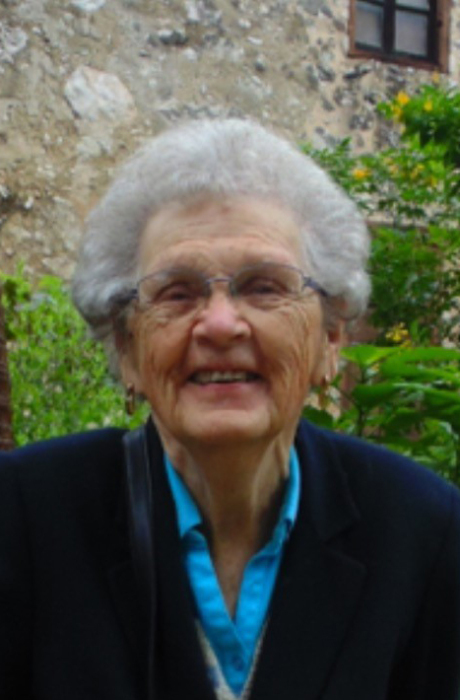 She was a member of the First Evangelical Lutheran Church in Litchfield. She was active in the Hannah Unit Circle and the Friendship Club at the Grove City Care Center. She enjoyed gardening, jigsaw puzzles, music, dancing and Bible Studies. She is survived by her children Shairi (Cliff) St. Clair of Sheldon, IA, Cindy (Wick) Johnson of Kerrville, TX and Patrice Wick Taylor of St. Louis Park, MN; seven grandchildren Raleigh St. Clair of CA, Lindsay St. Clair of NY, Graeme St. Clair of Minneapolis, MN, Brittany St. Clair of Minneapolis, MN, Allegra St. Clair of GA, Emily Taylor of Minneapolis, MN and Zachary Taylor of Minneapolis, MN; brothers and sisters Bill (Marilyn) Brehmer of Austin, MN and Karen (Bob) Swanson of Chaska, MN; and sister-in-law Mae Brehmer of Litchfield, MN. She was preceded in death by her husband Leonard; parents William Eugene Brehmer and Margaret Buchanan; brothers and sisters Jerry and Joyce (Brehmer) Johnson; Bob and Betty (Brehmer) Hendrickson, Warren “Bud” Brehmer and Gayle (Brehmer) Christensen; and father and mother-in-law Harold and Theresa Wick.